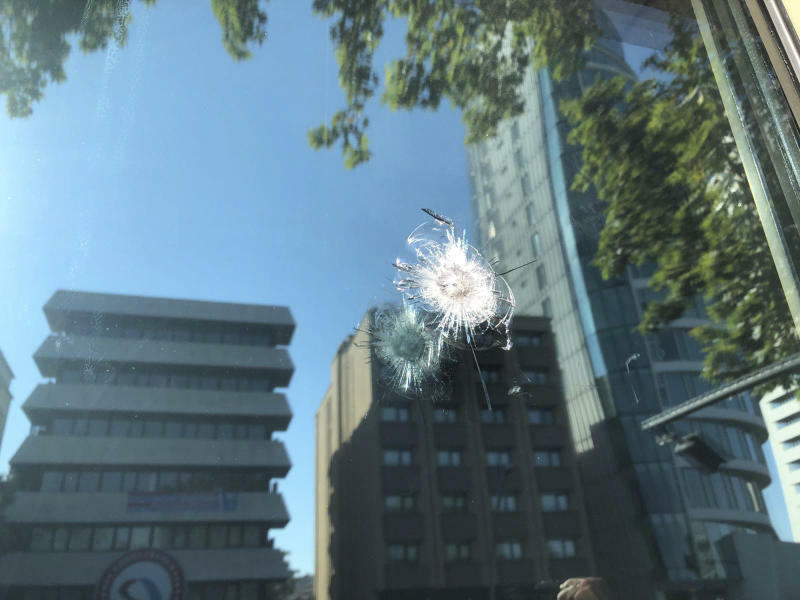 ISTANBUL (AP) — Shots were fired from a moving car at the U.S. Embassy in Turkey before dawn Monday, an attack that came during heightened tensions between the two NATO allies. Officials said two people with criminal records were detained. 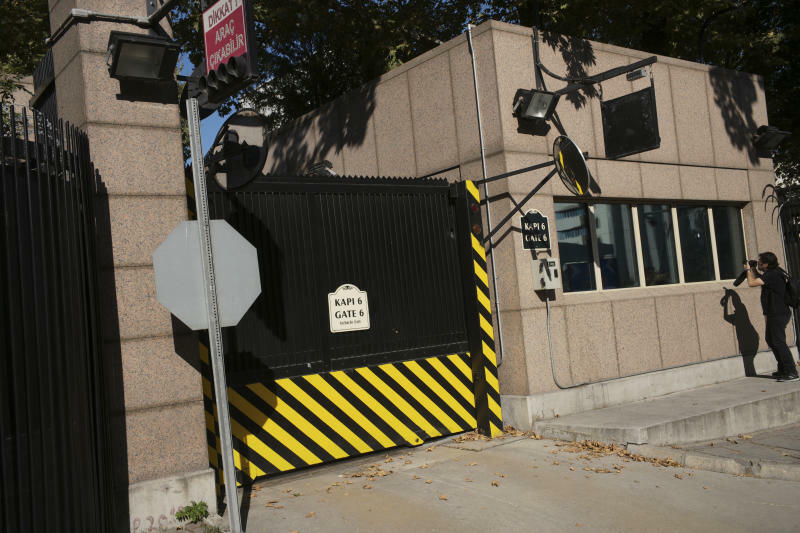 The Ankara governor's office named the suspects as Ahmet Celikten, 39, and Osman Gundas, 38, saying they had confessed. Authorities seized a 9-millimeter gun and a vehicle with Ankara license plates. Celikten had escaped prison and Gundas had several crimes under his belt, including car theft, drugs and threats, the governor's office said. The U.S. Embassy thanked Turkish authorities, tweeting that it appreciated their "fast and professional action" in arresting the two suspects. 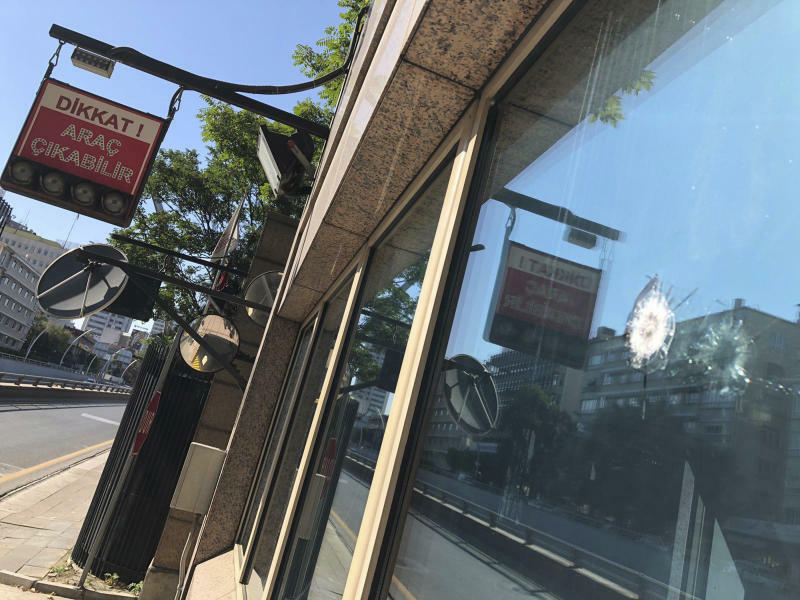 Turkish officials are locked in a trade and diplomatic dispute with the United States but they fully condemned the shooting. Presidential spokesman Ibrahim Kalin tweeted that it was "an attempt to create chaos." "The utmost sensitivity will be shown to ensure their security," said the party spokesman, Omer Celik. The governor's office said authorities are investigating the suspects' links. Also Monday, Turkey filed a complaint about the U.S. tariffs at the World Trade Organization, the WTO said. The two sides can now try to resolve the dispute without litigation — if talks fail after 60 days, a WTO panel can be asked to judge the matter, it said.